I know I know… It seems like only yesterday that we were merrily slapping on the sun cream and complaining in true British style that it was too hot. And now all of a sudden, advent calendars, festive chocolates and other foreboding signs of Christmas 2015 are appearing in the shops when we had only just gotten used to the fact that it was summer! If you’re anything like me, you’ll be urging life to slow down and getting dizzy at the frantic pace. Everything seems to hurtle along at a million miles an hour and we don’t stop to breathe. Time has a tendency to run away with us before we have a chance to savour those precious moments and truly enjoy that thing they call ‘life’. Imagine if you will, a slower pace of life. Imagine a place where you and your whole family can reconnect, recharge, and reignite. Imagine fun-filled days on the slopes where fresh powder and glistening sunshine is par for the course. Imagine hunkering down in front of a crackling fire chatting into the small hours with a steaming glass of mulled wine with the children safely tucked up in bed. Imagine a fully-catered ski chalet where your Christmas break festivities are taken care of by truly professional and discreet in-house staff (all food and wine included). Imagine being able to whole-heartedly relax this Christmas and simply enjoy one another with no more last minute shopping panics, no more arguments about who will play host, and no more blink-and-you-miss-it Christmas day. At Chalet Marini in Meribel, up to twenty of your nearest and dearest can enjoy a good old fashioned Christmas with a very special sprinkling of Ski Basics magic. 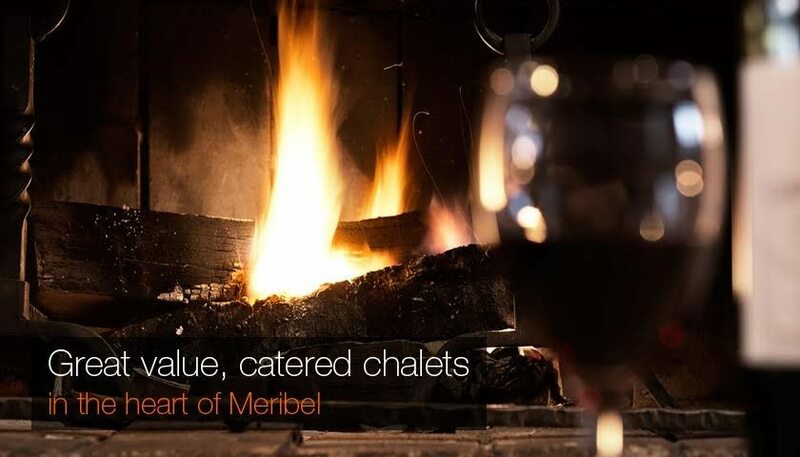 Chalet Marini is a sprawling twenty bed catered chalet ideally located at the entrance to Meribel Village. With its homely communal areas and huge balcony overlooking the Meribel valley, Chalet Marini makes the perfect base for a ski break Christmas with all the family. For a Christmas you’ll be inspired to write home about, the exclusive Chalet Marini offers a hotel-like experience but with that all important personal touch. Each room benefits from private facilities, twin beds, and the space to get away from it all when you need some peace and quiet. A big chalet with a big heart, Chalet Marini will make all your dreams for a family Christmas come true.